How To Book Your Last "Singles" Day In A Party Limo In Less Than 3 Minutes! "What happens in a limo, stays in a limo"
Leave the limo planning to us while you party the night away in one of our bus party limos! A Bachelor party needs the best party limo or a party bus to make this night special like no other and that's our specialty. But its not only about partying on your bachelor day, are you dining out with the gals, getting a spa treatment or just enjoying your last day single cruising the town? Our drivers know all the "happening" places in and out of the city. Our limousine drivers will cruise you in style and ensure you have a blast while making sure you arrive to your final destination safely. Our party limousines services are known to be the best and so you wont need to shop around. A Party Style Limousine. 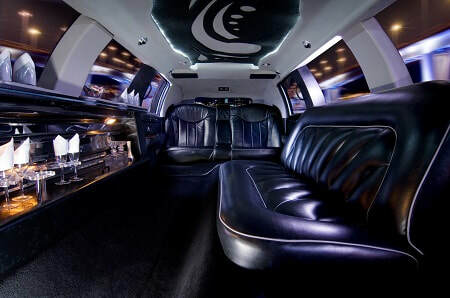 Limo bus or Party hummer, we are sure to find you the one for you. With all the variety we have, you will find the right limousine Montreal that will catch your eye and turn you head. City "hot spots". Our drivers can help you plan your day in and about the city and take you to all the hot spots, whether it be dance clubs, strip clubs, hottest restaurants, downtown spots and anywhere you heart desires. Party decorations. We help decorate our limos with your choice of entertainments, whether it be ballons, banners or others. Our limo service and rentals is here to help you enjoy this day. Loud as can be. You can be as loud as you want, pump it up with music or shout it out in the limo... this is your day and we want you to enjoy it. Yourself and your guests will be treated in VIP style during this whole experience. We know this is the an important day for you and we want it to be remembered and talked about for years to come. We don't want you to worry about where to drive or how much you can drink on that special evening, we cater to all your needs. We know you have a lot to worry about (...partying!) so we can help you decide which limo service best suits and services your style, the number of guests and the luxury you so desire. Ask about our special limo packages to help you plan this day.